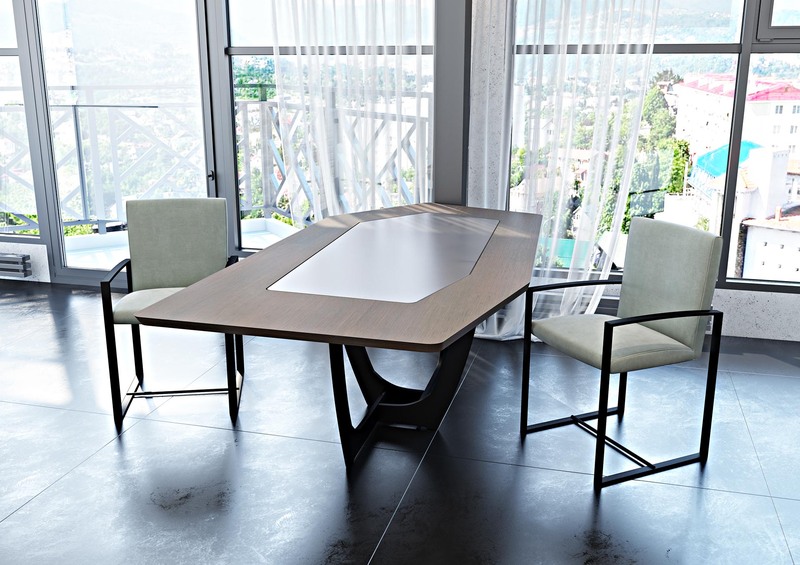 Dining table with top in oak and bronze glass in the center. Metal base in matt anthracite color. Several colors are available. Can be fix or with extensions ( 1 x 50 cm or 2 x 50 cm). Buffet with irregular linear drawings and top in bronze glass. Several colors are available. 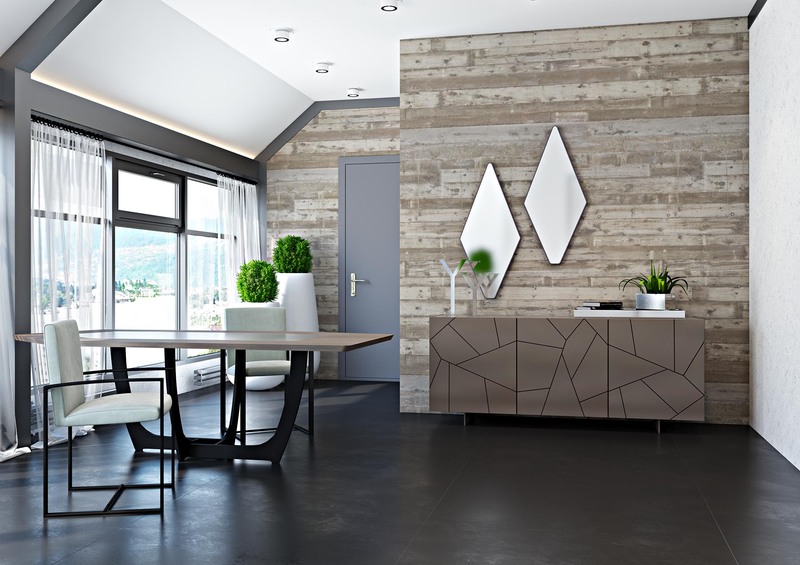 Rhombus mirror in lacquered anthracite. Chair no 55 with metal frame in anthracite color.